Photography courtesy of Benji McDaniel, Jen Natiola Pews, freshman pre-nursing major, Quinneicia Tatum freshman pre-nursing major, and Gabriel Ortiz sophomore pre-nursing major inspire fellow Islanders by leaving encouragements on the giant white board available. 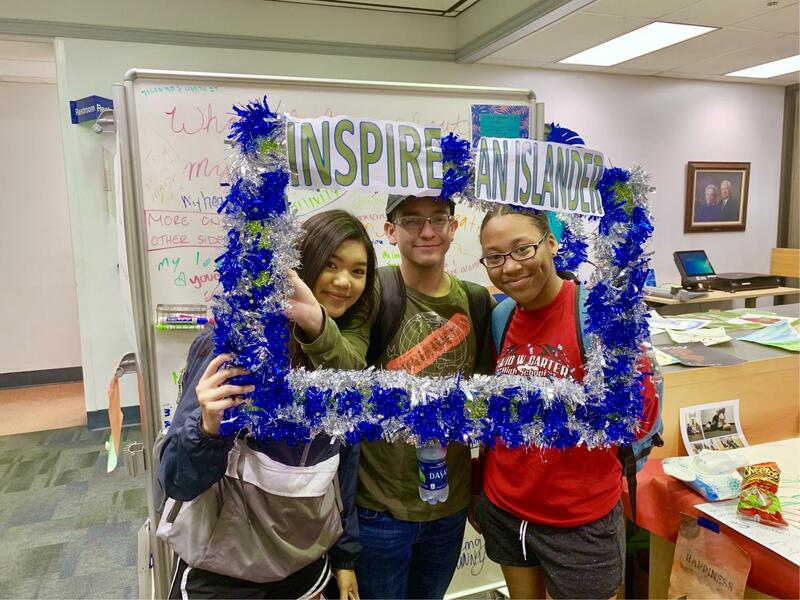 The Inspire and Islander event has been available in the Mary and Jeff Bell Library since March 18 and will end on Friday, April 5. This event is organized by the Suicide Awareness Focuses on Everyone program (S.A.F.E. 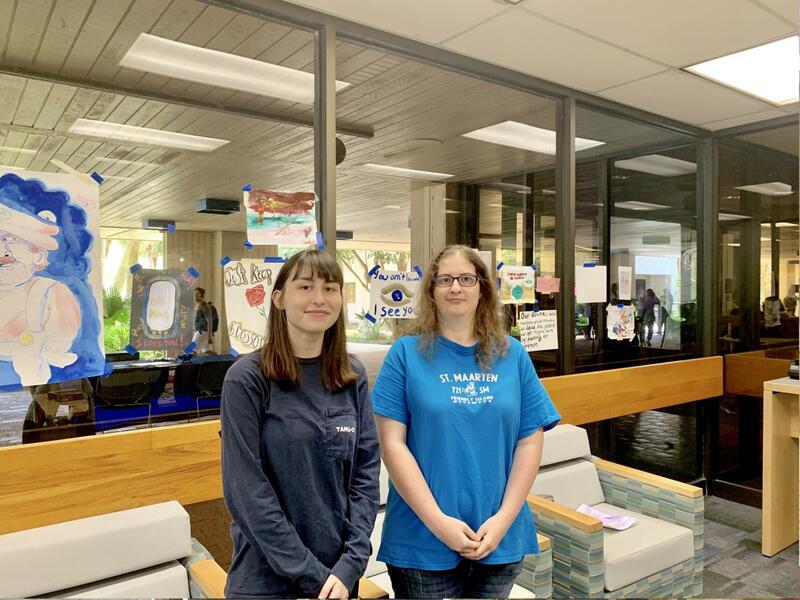 ), the college of Nursing & Health Sciences, and the University Counseling Center, focusing on positivity through creativity and fighting mental health stigmas. In the event space, you can find areas to draw and color, stamp or paint both on paper and shells or other objects. These stations were created to allow for students to allow students a chance to take a step away from the stress of the semester and partake in the peace of art. Islanders can make or leave artwork at the Inspire and Islander Exhibit to express themselves and encourage fellow students. There is also a giant white board set up with the prompts to provide reasons students love others and love themselves. This allows for positivity and encouragement to come to the forefront in a society where negativity can run rampant, causing mental health issues. 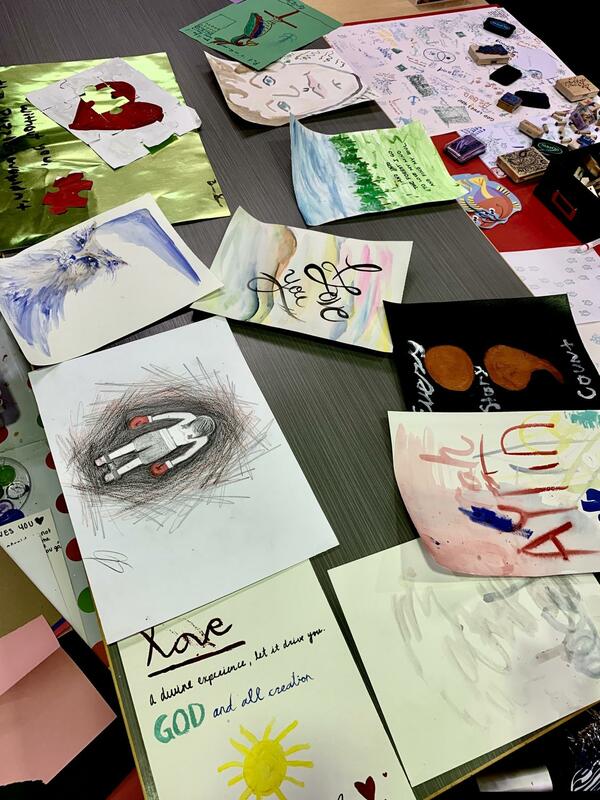 Students can also bring their own art, in any form such as drawing, painting, poetry, photography, etc., and leave it at the exhibit to be shared and displayed. This allows for people to do their work where they may be more comfortable but still allows them to share with others. 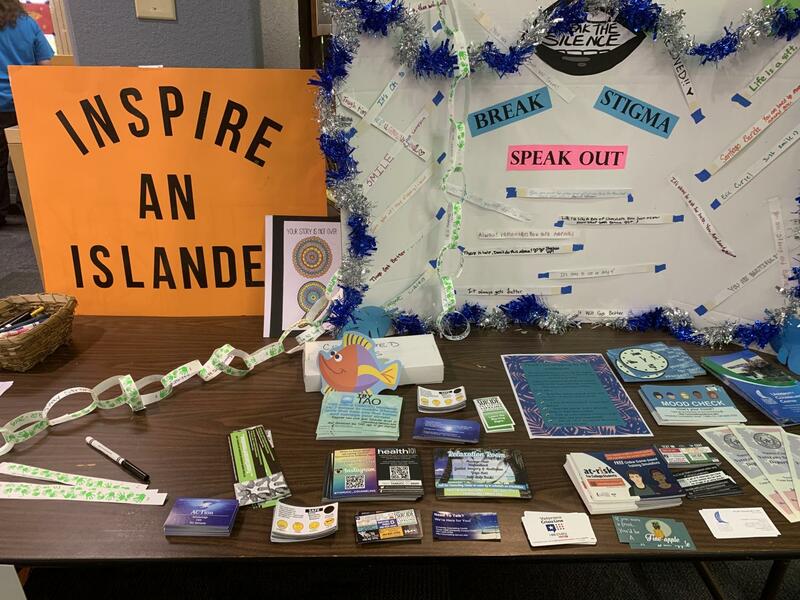 Overall, the exhibit is open to bring positivity into the lives of Islanders while also spreading awareness and breaking the stigma of mental health. The exhibit also has a table with multiple resources for students about the counseling center, suicide prevention and more. Inspire and Islander will be taking in art until April 5. For more information about mental health and counseling resources, visit, http://counseling.tamucc.edu.